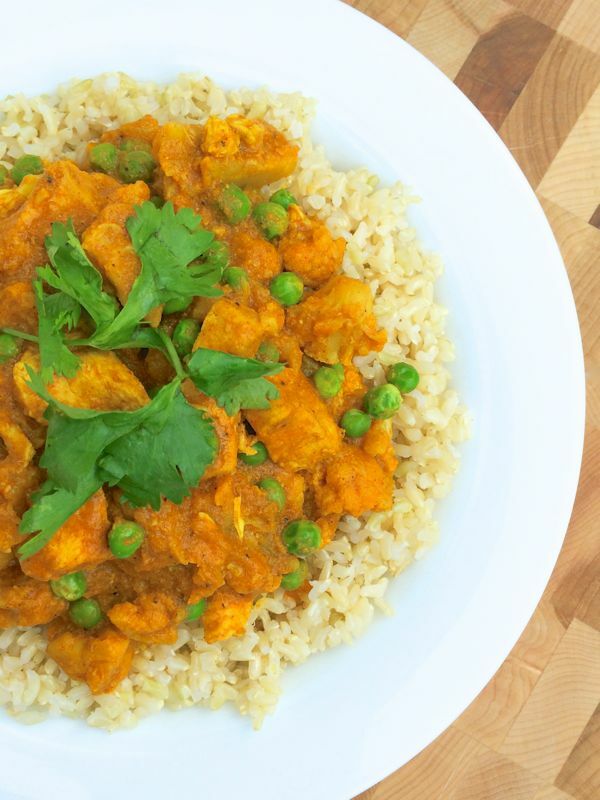 Chicken and veggies spiced up with the best Indian flavors. Here we are again with another trip to another part of the globe. Now let’s get cooking with something from India. 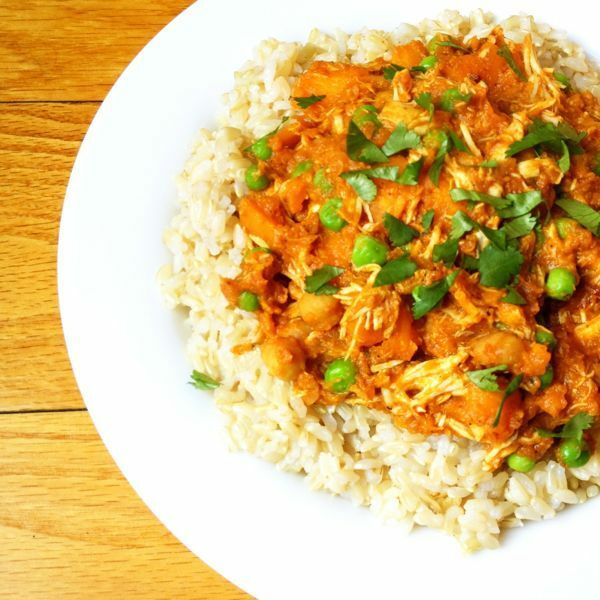 Indian dishes are greatly known for their explosive flavors and amazing spices. And it is no wonder why a lot of people go crazy about Indian cuisine. They have a wide variety of herb and spices that you can choose from which of course can suit your personal preference and taste. In my case, I am up for something healthy (which a lot of Indian foods have in common) but with chicken in it. I am also looking for something spicy and this recipe can perfectly deliver what I am looking for. A chicken and vegetable dish with a kick of spice and a party Asian flavor is how I would bet describe this Indian-influenced dish. This could be a good way to introduce people you know who have never had Indian food. It’s healthy, flavorful and you can balance the spice to make it lighter. Try it out and tell me what you think. In a 5- to 6-quart slow cooker, whisk together the tomatoes, tomato paste, ginger, curry powder, 1/2 teaspoon salt and 1/4 teaspoon pepper. Add the chicken, cauliflower, onion and raisins to the slow cooker and stir to combine. Cook, covered, until the chicken is cooked through, 4 to 5 hours on high or 6 to 7 hours on low. Twenty minutes before serving, cook the rice according to the package directions. Spoon the chicken mixture over the rice and top with the cilantro. Serve with yogurt and lemon wedges, if desired. 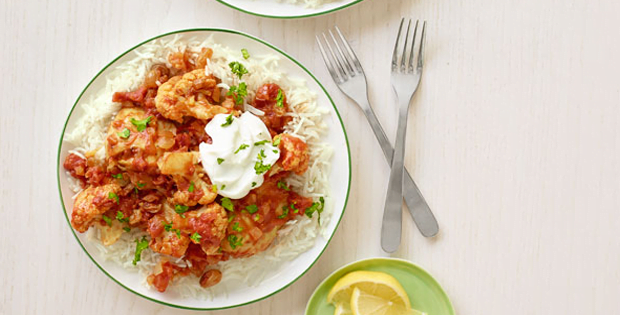 Prepare the slow cooker recipe ahead of time and freeze for up to 3 months. Reheat in a skillet over medium-high heat and serve with cooked rice. 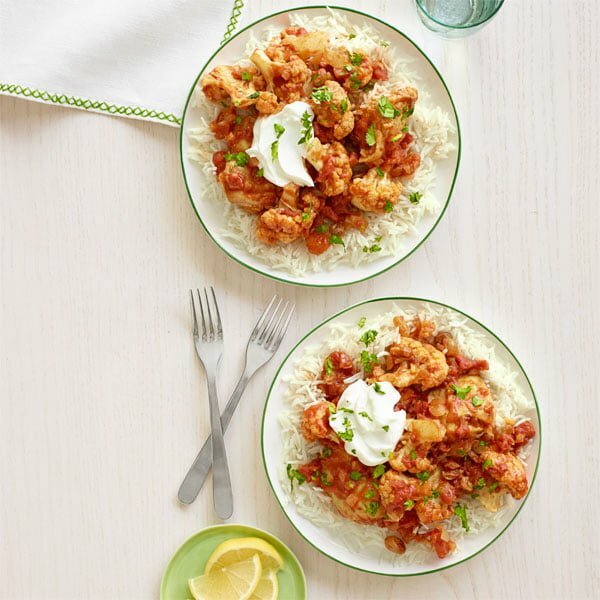 A very big thank you to countryliving.com for this amazing recipe. Credits to thelemonbowl.com for the amazing image.